Released 07. May 1984. on their LP ''HYSTERIA'', ''Life on your own'' become my favourite song from this LP. ''The Lebanon'' and ''Louise'' were probably much bigger hits but that's exactly the reason why I liked ''Life on your own'' much more. For this crossover I used original album and 12'' extended version. All together I made 3 different versions. Here is last, v 2.0, 8:08 long version. Made from fun...just for fun. Good job you made it, Dodi! Great tune and nicely remixed! I totally agree...80's rock ! Thank you Robert for nice words...I really apreciate it. This is most wanted remix from my archive so far...over 50 downloads in last 3 days. 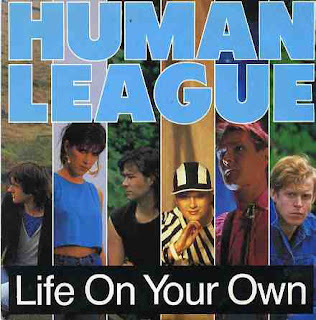 Looks like I must make more remixes from Human League.